SAN FRANCISCO MOTORCYCLE ACCIDENT LAWYER REPORT: The San Francisco motorcycle accident attorneys at Riderz Law have learned of a fatal motorcycle accident that occurred on the Bay Bridge last week just east of the Yerba Buena Island curve. Last Friday at approximately 11 a.m., 33 year-old motorcyclist Aaron Peter collided with a gray Toyota Avalon while travelling on the upper deck of the Bay Bridge. 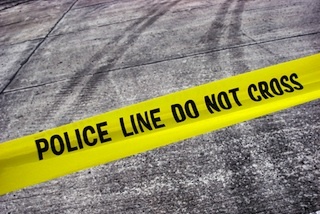 According to California Highway Patrol, the collision ejected Mr. Peter from his bike and threw him against the guardrail on the north side of the bridge. He suffered severe injuries and was pronounced dead at the scene. Our thoughts and prayers go out to Mr. Peter and his family in the wake of this tragic accident. At this point, it is unclear what caused the accident, or whether the driver of the Toyota Avalon was at fault. We wil update this report as more information becomes available. As motorcycle accident attorneys in California, we see fatal motorcycle accidents far too often. Unfortunately, just a split secon lapse in concentration on either a rider's part or, more likely, on the part of a careless car driver, can have tragic consequences. We remind all of our clients and readers to ride smart and ride safe.